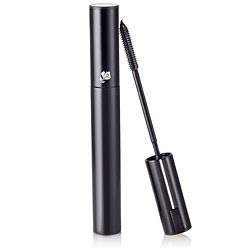 makeup gadget this week is Lancôme Ôscillation Mascara. It’s an item that has been getting a lot of buzz, so I decided to splurge on myself. This mascara has been called revolutionary because of the brush. Jean-Louis Gueret, the creator of mascara brushes for Lancôme decided to try something different after watching makeup artist applying mascara in a zigzag pattern. He came up with a flexible polymer based mascara brush that vibrates at 7,000 micro oscillations per second. The formula conceived with ultra-fine particles specifically for the product, which also extends, curls, shapes and makes lashes seem thicker. To get started with this battery powered wand you have to press lightly on the outer tube which turns on a 3 centimeter motor. My first thoughts… I can only use this item on myself because of sanitary reasons. I do like the outcome, you just have to take your time. It took me 3 coats to get a nice coat. I also have to get used to the brush being a little thinner. I don’t know if I would buy this mascara every month for myself. Let me try it out for a full week and I’ll see if it becomes my favorite. GLAM LIFE OF A CELEBRITY MAKEUP ARTIST...IN NEW ORLEANS now covering DALLAS, LOS ANGELES, SOUTH BEACH, and NEW YORK.